How Far is Bharathi Enclave? 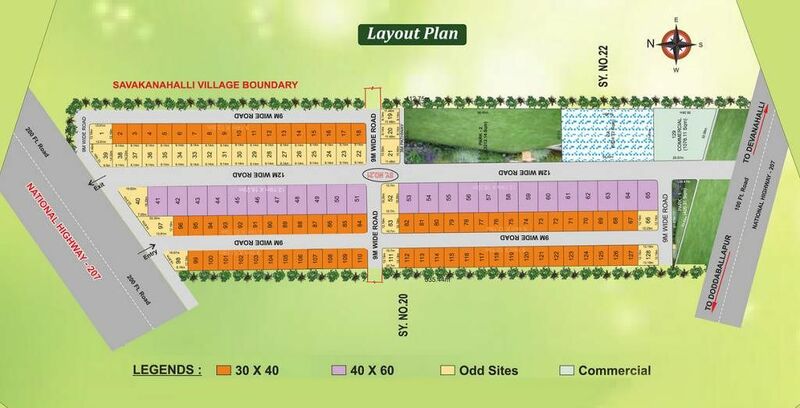 Bharathi Enclave is a futuristic integrated layout spread on 9 acres with best of the features and facilities. The exquisitely planned layout leaves nothing for imagination. Fast and furious development is taking place in the area. Devanahalli Business Park is coming up quite close to the layout. IT Special Economic Zone (SEZ) of 20000 acres of is being set up, just 3 kms away. With the developments all-round, the place has emerged as an address to a cluster of world class gated communities, changing the perception of living.